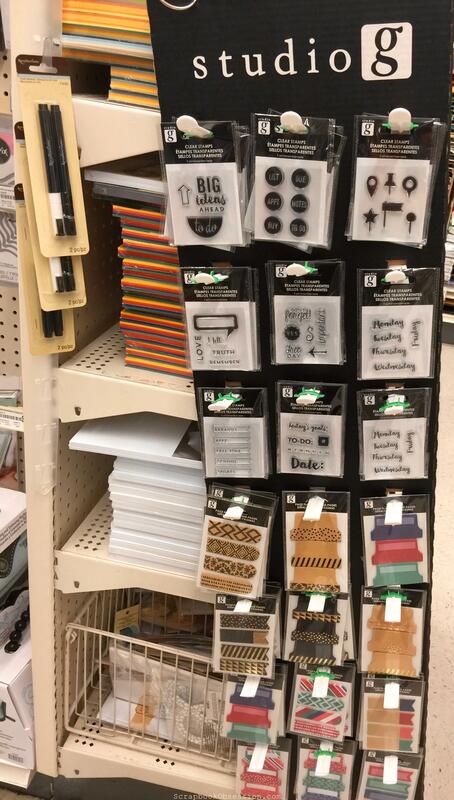 I haven’t been to Michaels in over a month. Say whuuut?! I know. What is this world coming to? Better question: How are they staying in business without me? 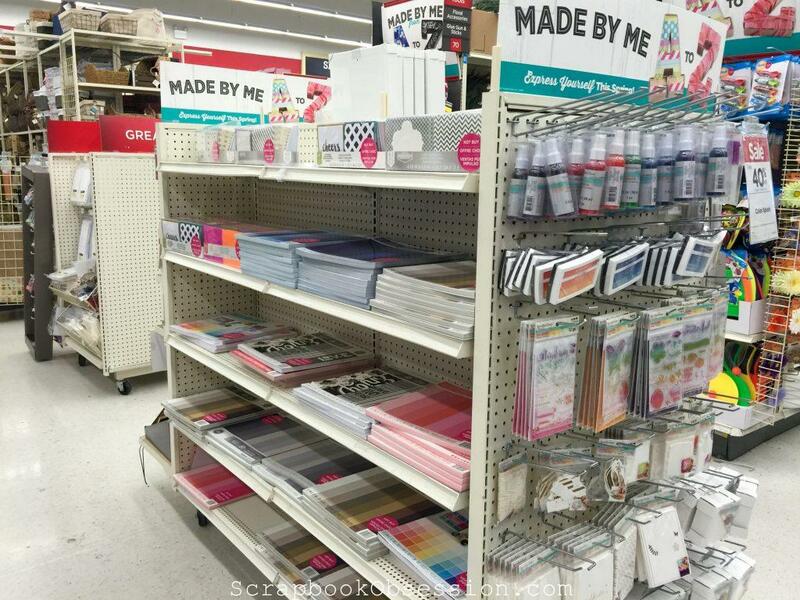 I finally made it over there because I’d heard tell that some of the items I wanted from CHA were spotted. 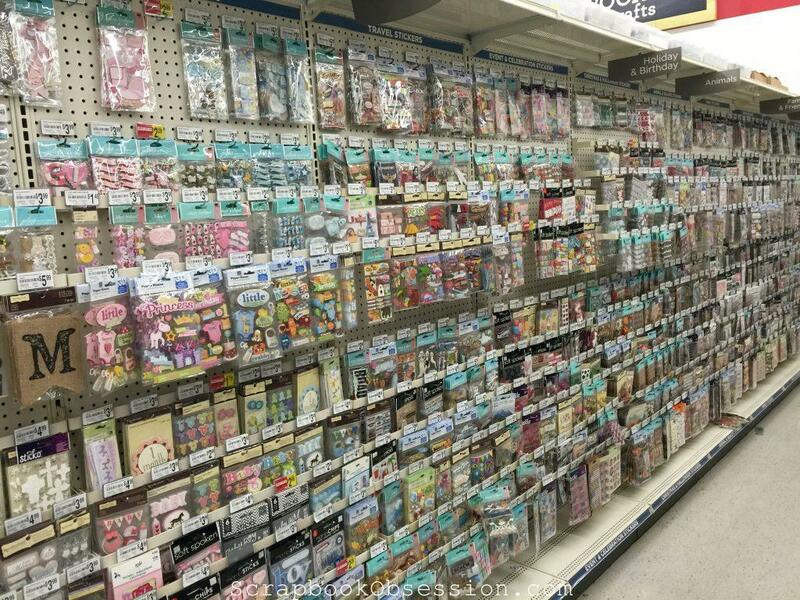 Because it’s been so long, I’ll give you a little tour of my Michaels, how some of the layout has changed, and what new things I saw. 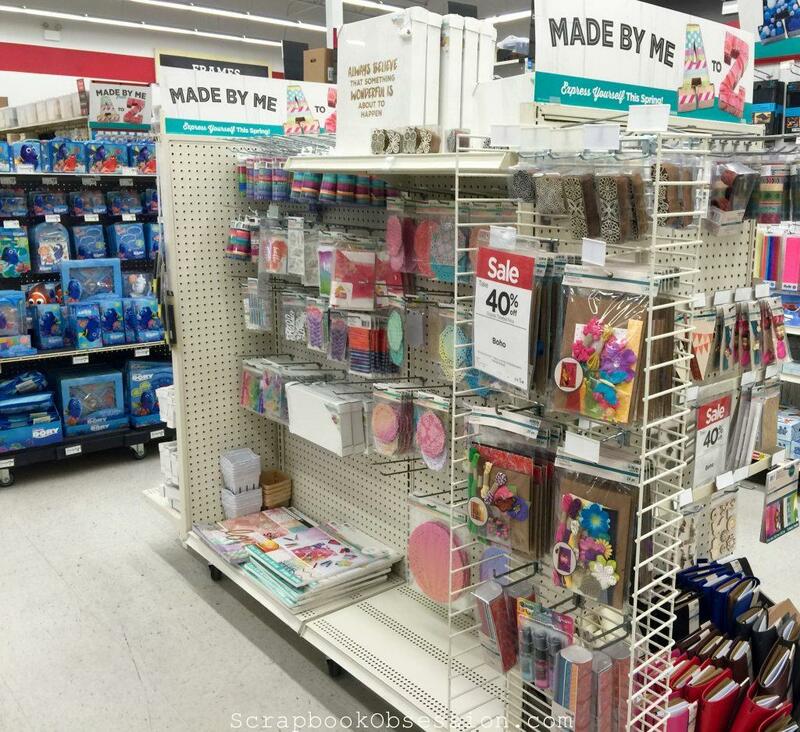 The first endcap to the scrapbook section seems to always have Heidi Swapp stuff and this time was no exception. 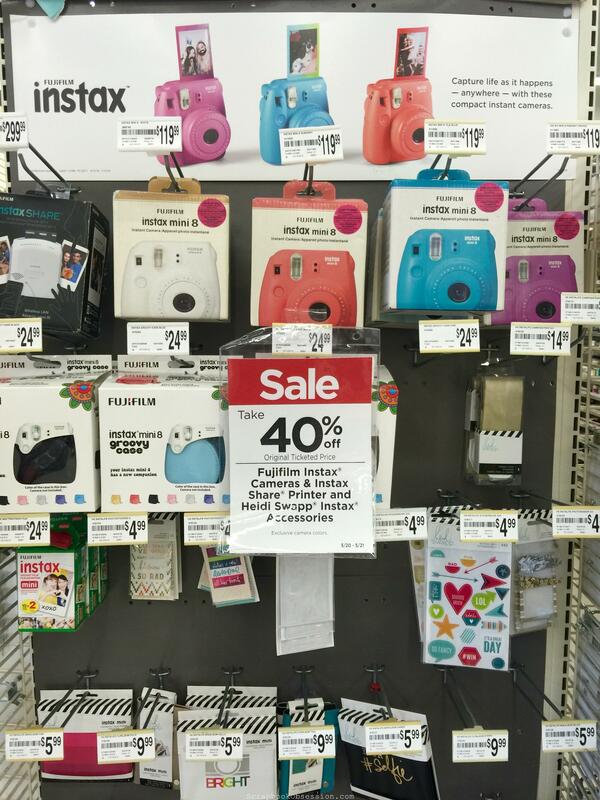 The Instax cameras have been around for a while, of course, but some of the HS “Insta” stuff was new. I saw those square albums at CHA (see my post HERE). 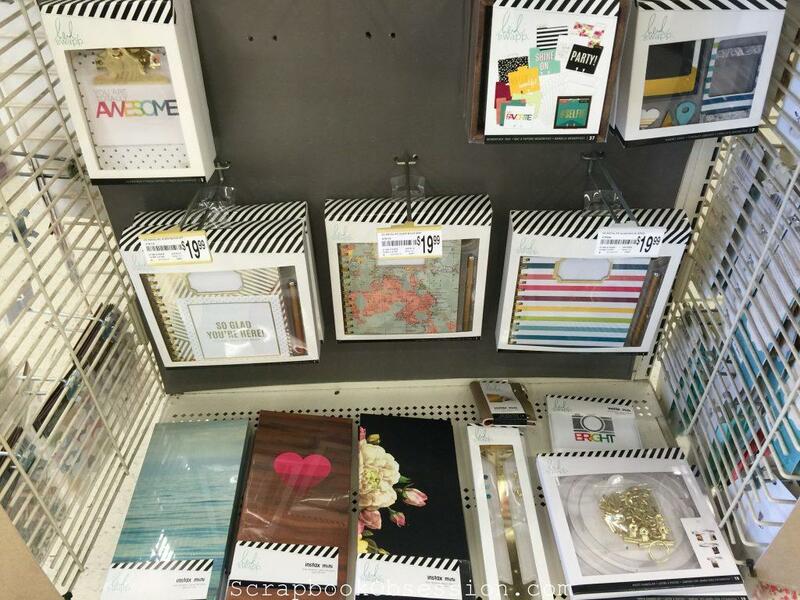 I talked about that cute ocean Instax album HERE. Everything was 40% off. 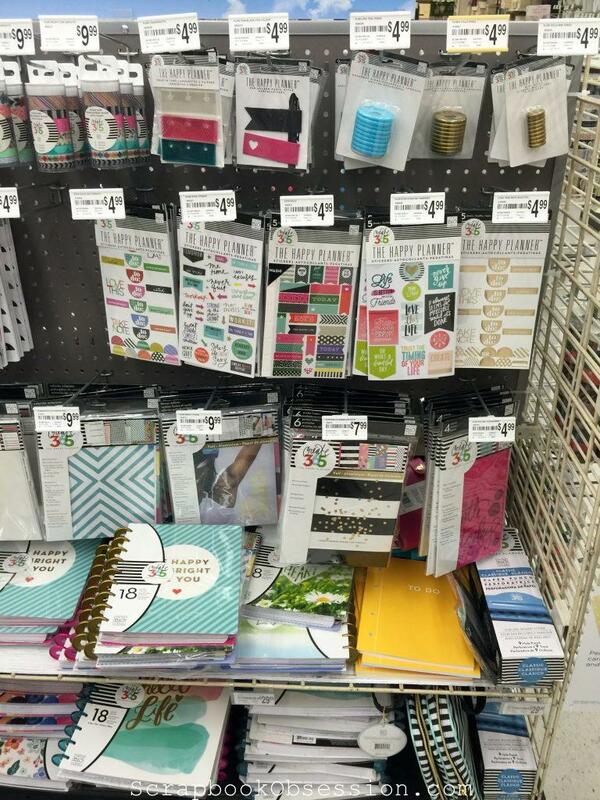 Can you guess which item I snagged? Hint: It’s not one of the things I already mentioned. 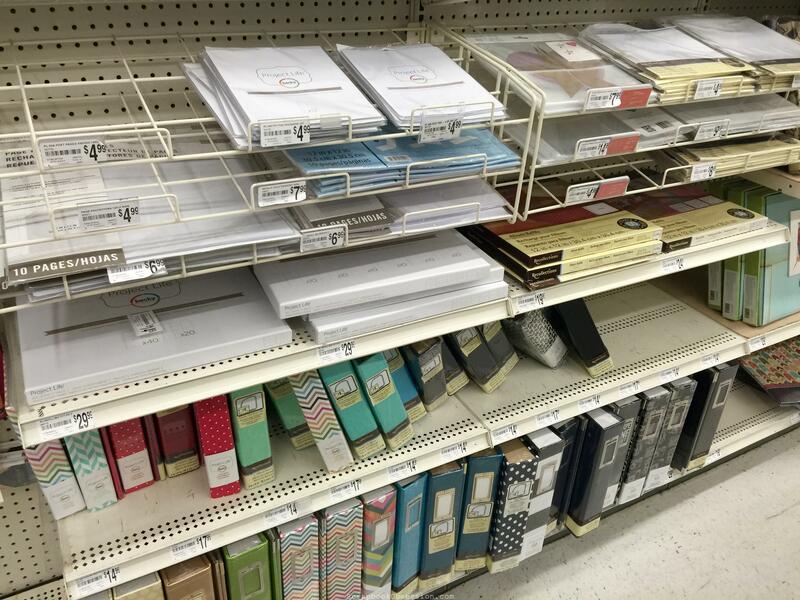 The 12×12 paper pad section in my Mike’s has always been pretty small, maybe 1/4 of one side of an aisle. 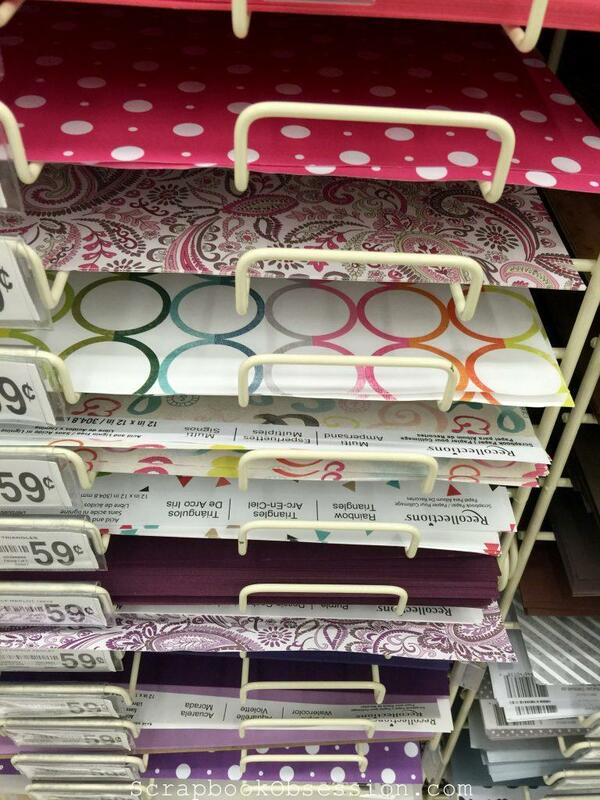 (I’ve been in another store where paper pads took up one whole side of an aisle and I was so jealous!). These 4 pads looked new – but none were my taste, so I was safe there. Phew! This arrangement is fairly recent. 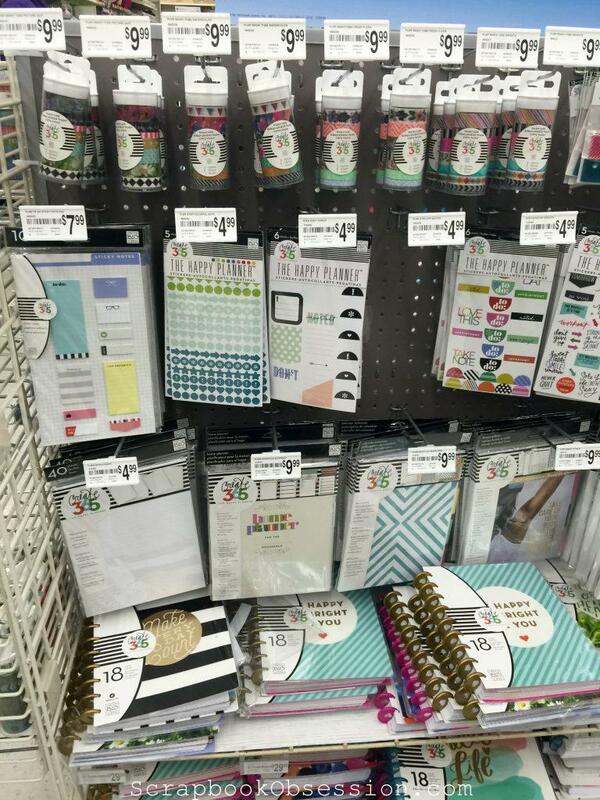 From Left to Right, it used to be Martha Stewart for the first 3 or 4 panels, then the washi tapes. 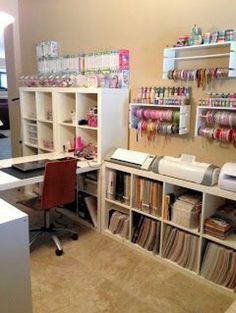 Now the washi has been moved to where Martha was and all this DIY party favor / papercrafting stuff sorted by color for the rest of the space. 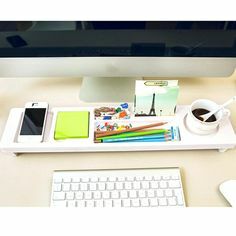 I have nothing against basics (there’s some cute washi and clothespins in there!) and was never much of an MS fan so this change is fine with me. I say that like Michaels Corporate gives a flock what I think, LOL. 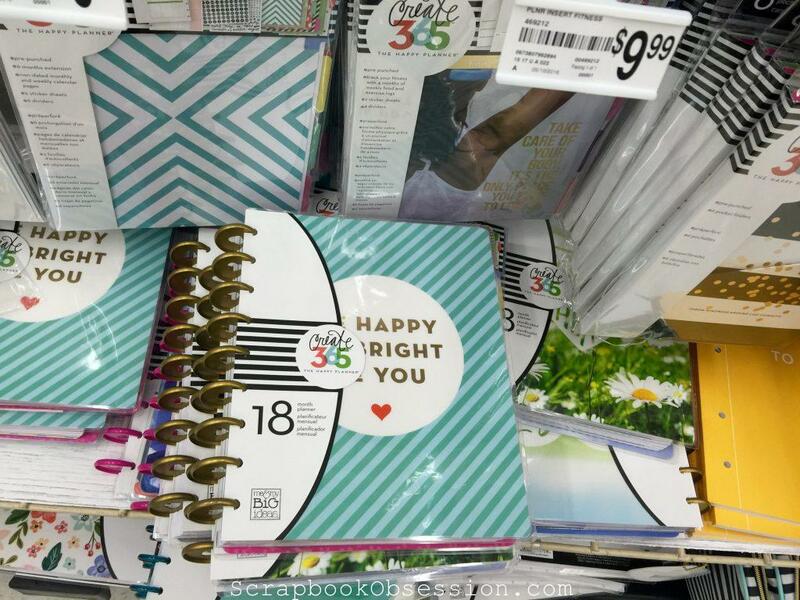 The Project Life section looked mostly the same. I think there are some new smaller sets on the top right since I was last here but none were up my alley. Again, phew! 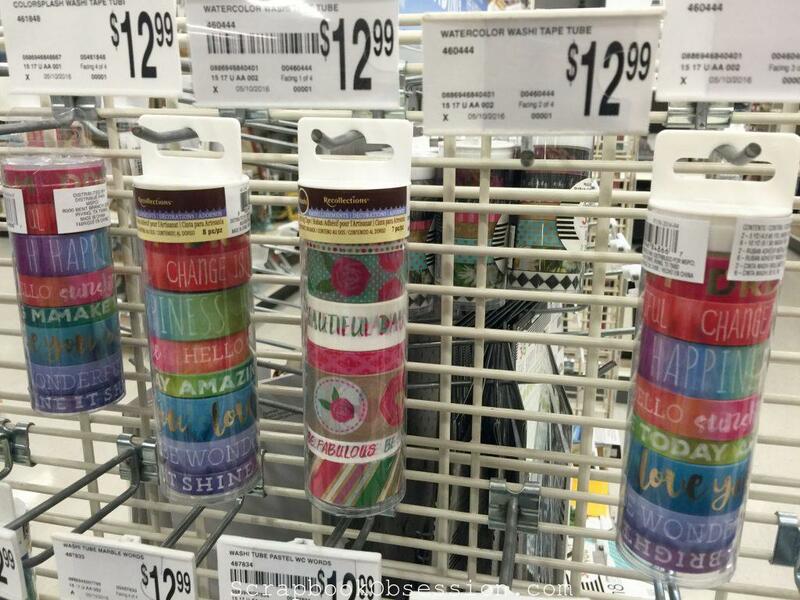 Some cute new Studio G stamps on the side of an end cap. 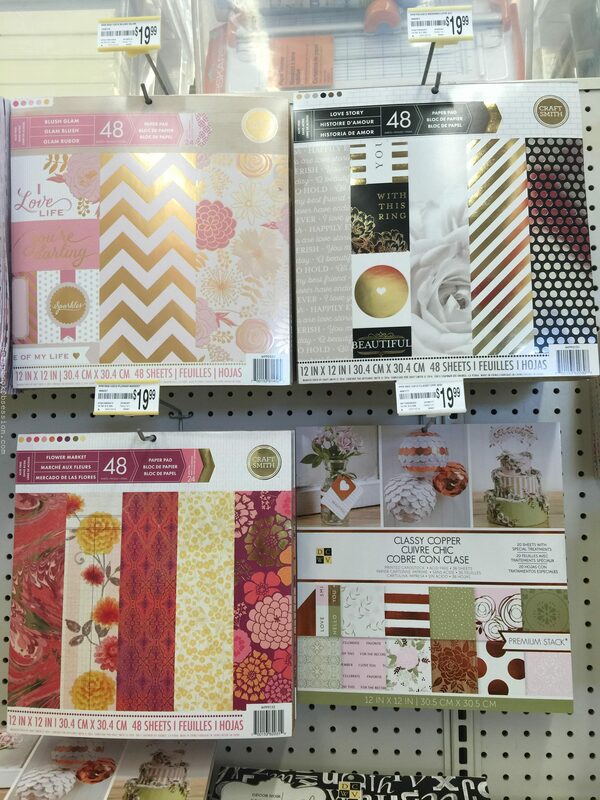 I just got rid of a bunch of “dollar stamps” in my last purge so I had to resist these and the page flags weren’t tempting. 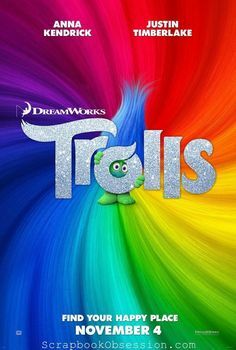 Not a color scheme I would use. Dodgin’ bullets, people! So that’s where all the Martha Stewart went? 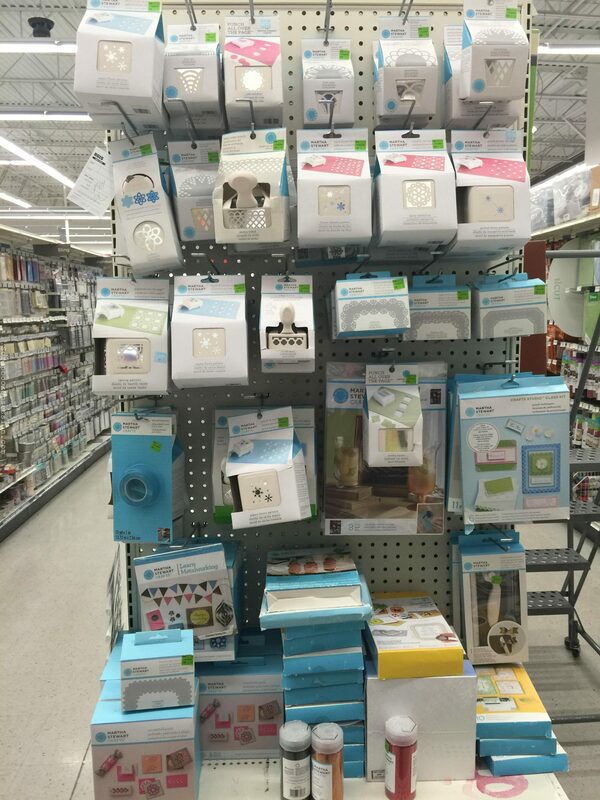 An end cap by Project Life. 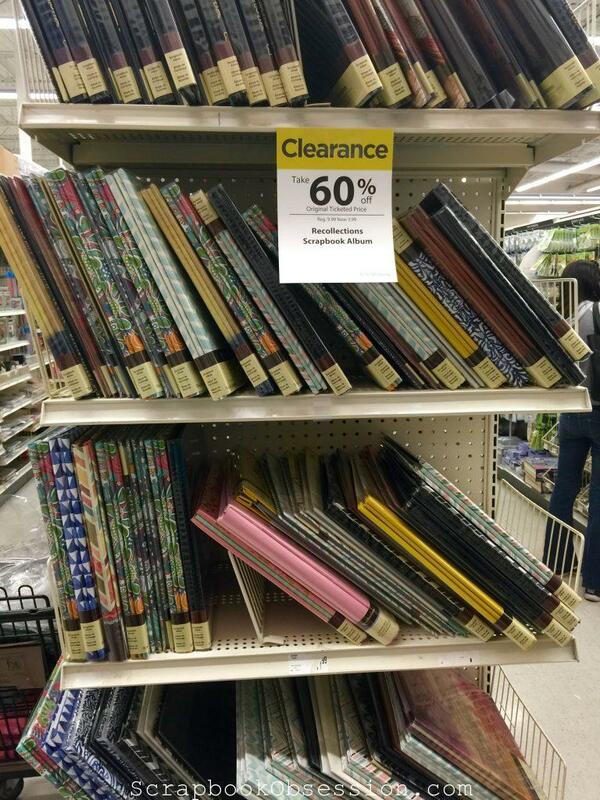 Looked like it was all on clearance. 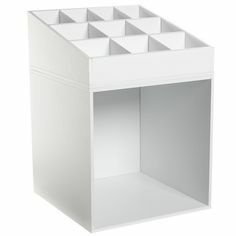 Another new item to my store were these Mambi Makers items, like the ones I saw at CHA. 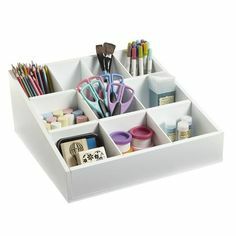 My scrapbooking criminal history contains a long record of buying project kits like these and then never making anything with them. Must. Resist. More Instax including the “mini 8” which I hadn’t heard of before. And more Heidi Swapp. 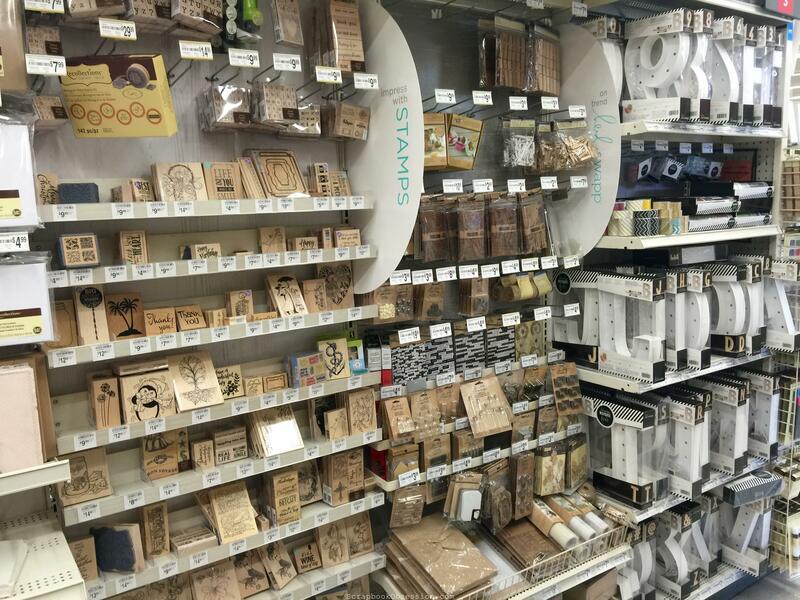 This whole section used to be wood-mounted stamps and Tim Holtz, grungy stuff. 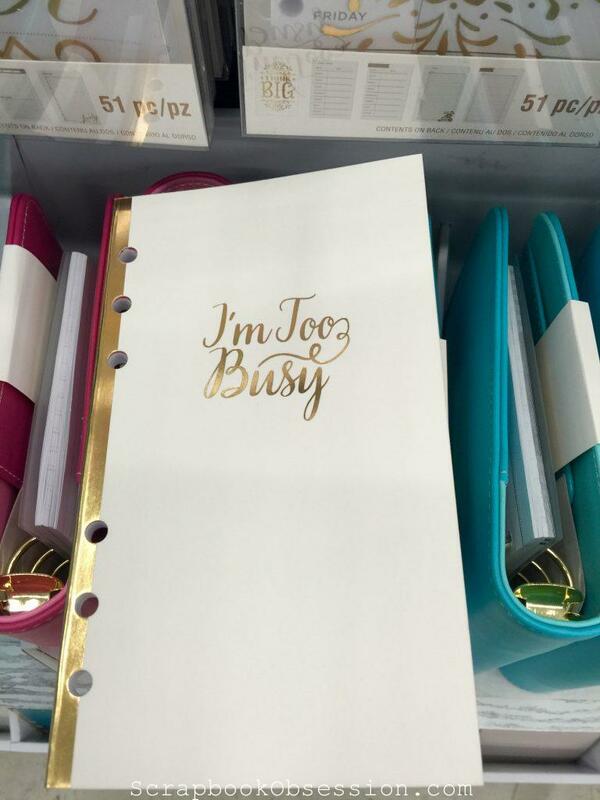 I NEVER shop from this section so whatever. MORE Heidi Swapp! 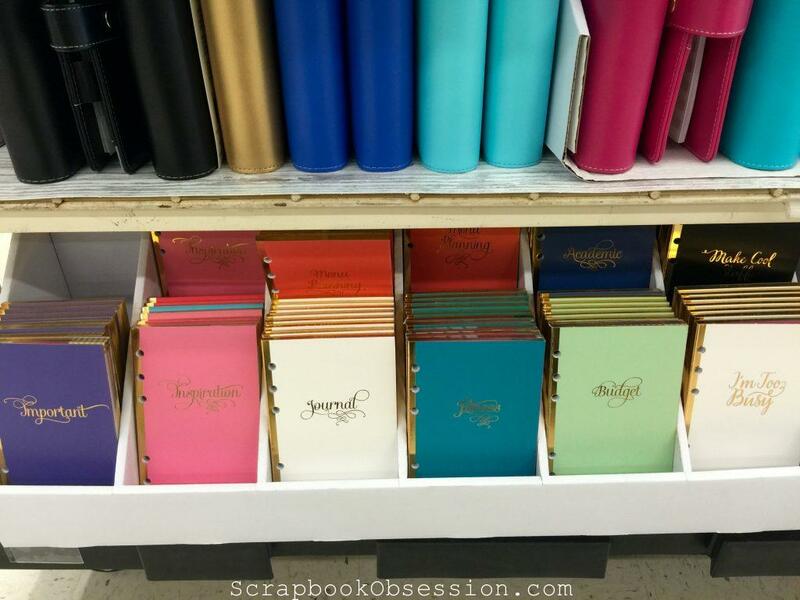 I wish they’d consolidate all her stuff into one place, for scrapbook sakes! Jeez. Oh, you have GOT to be kidding me!! 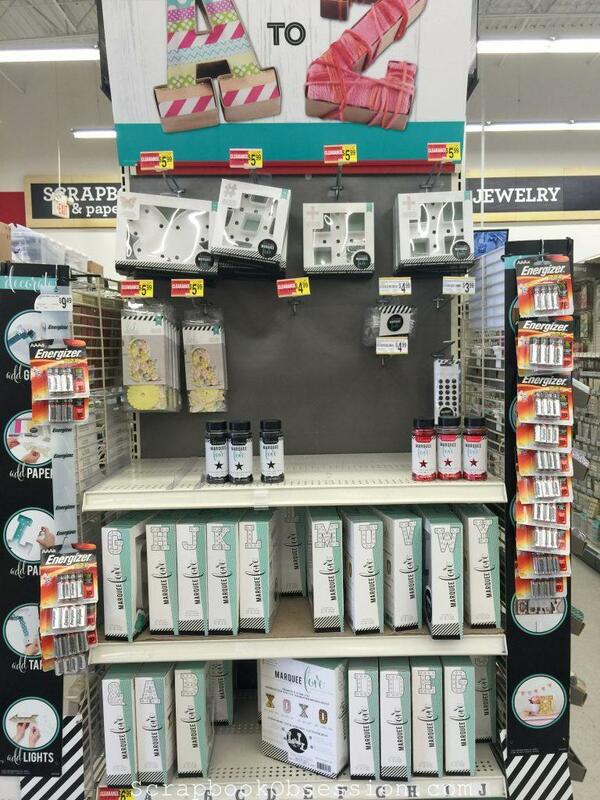 MOOOOORE Heidi Swapp stuff on another end cap. 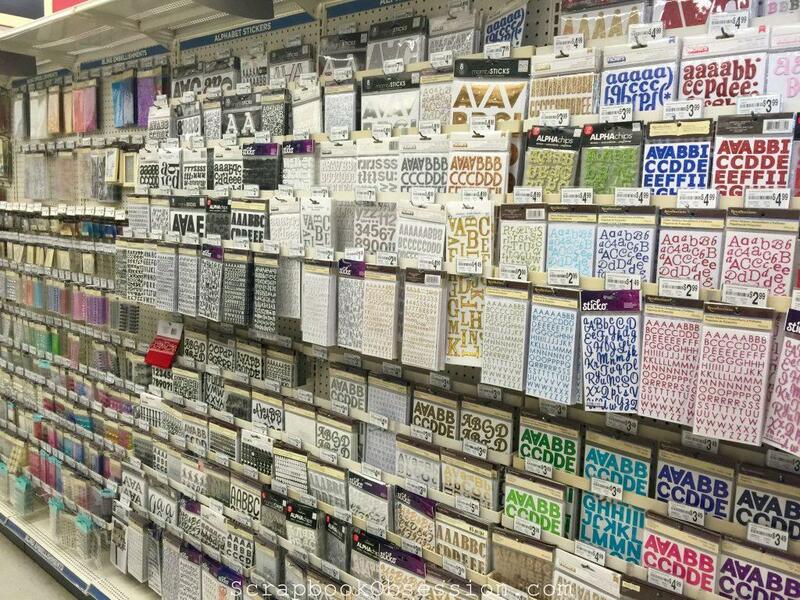 Can we just change the name from “Michaels” to “Heidi’s” and call it a day? Everyone complains that Recollections is taking over Mike’s but I beg to differ. 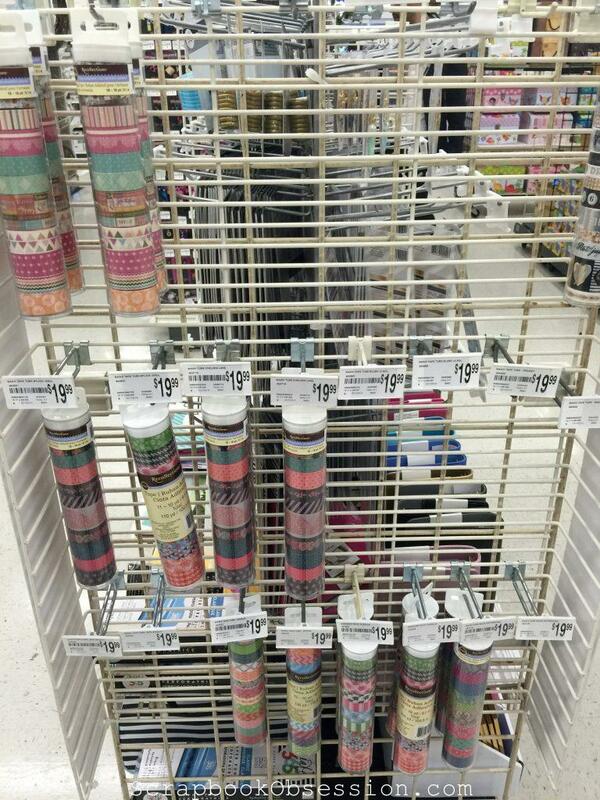 New (to me) tiny washi rolls on the side of an end cap. 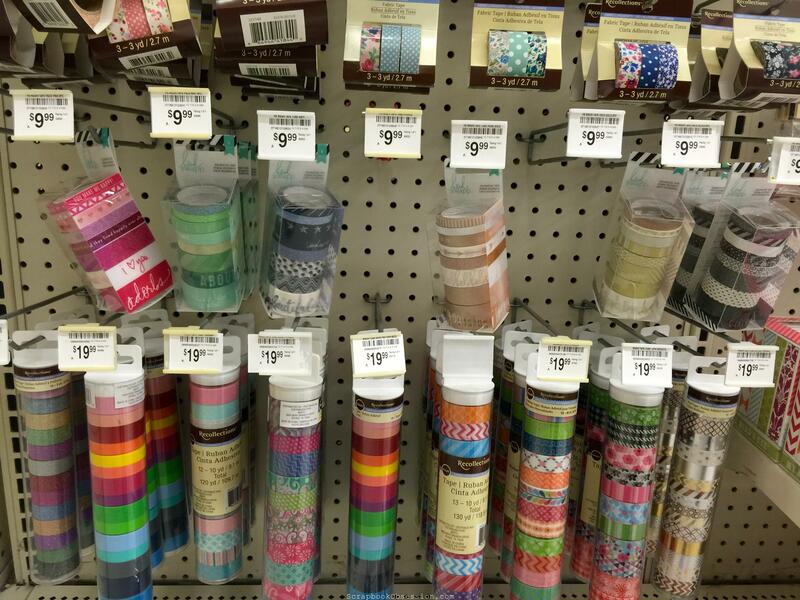 Washi roll, washi roll, washi roll. Hee hee, that’s fun to say! Here are the aforementioned alpha stickers. 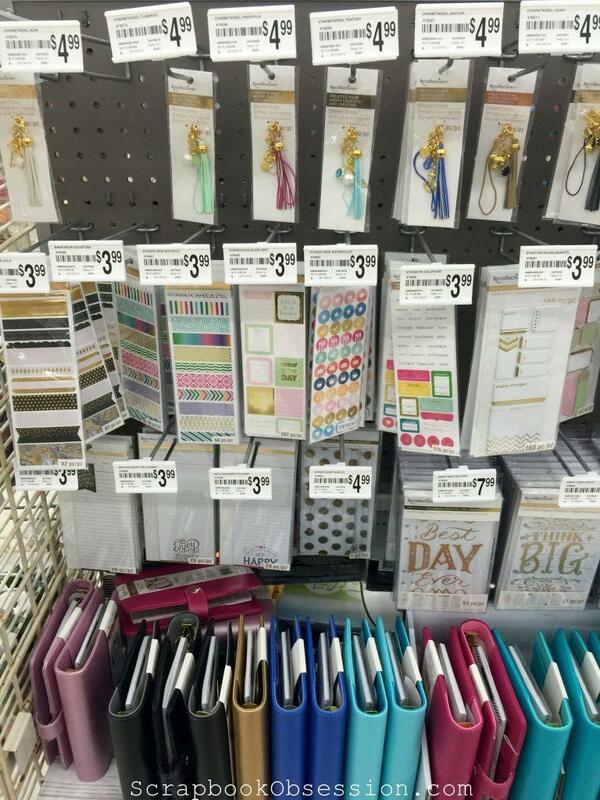 I have a lifetime supply of Thickers but even if I didn’t, I wouldn’t buy them from Michaels. Their buyer has a glitter addiction and I don’t do glitter. If I can help it. Sometimes glitter attacks and you have no choice, am I right? 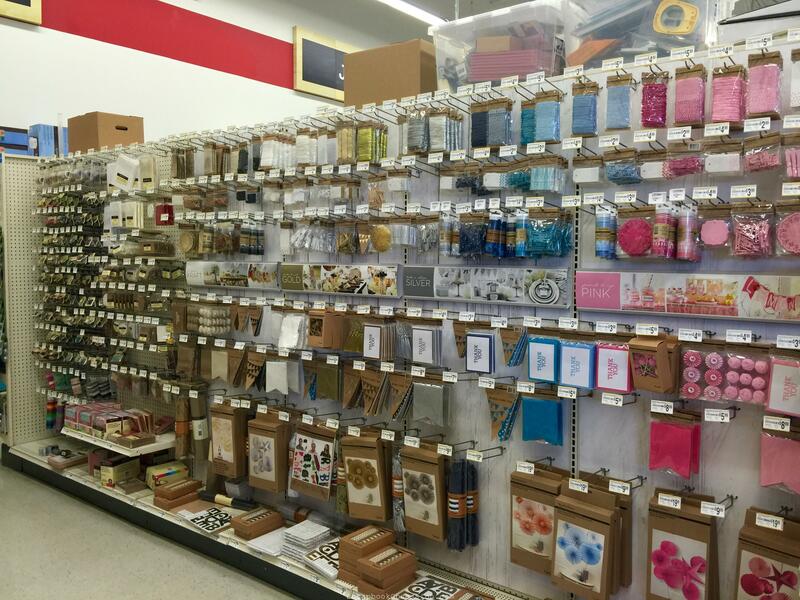 I don’t usually buy loose 12×12 paper at Michaels either but I took a peek. The white Recollections papers were the only ones that looked new to me. 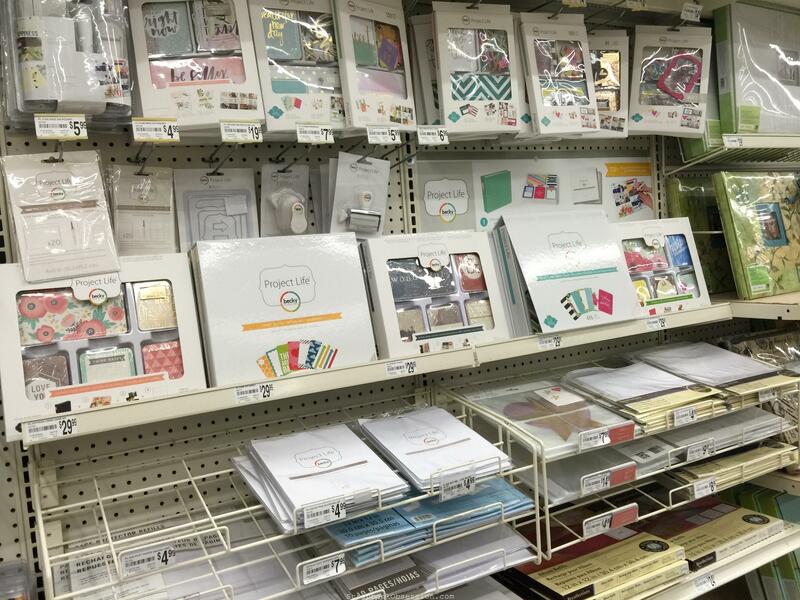 So that takes care of the 3 scrapbooking aisles. Now for the “islands” (I think they’re called) in the back of the store. 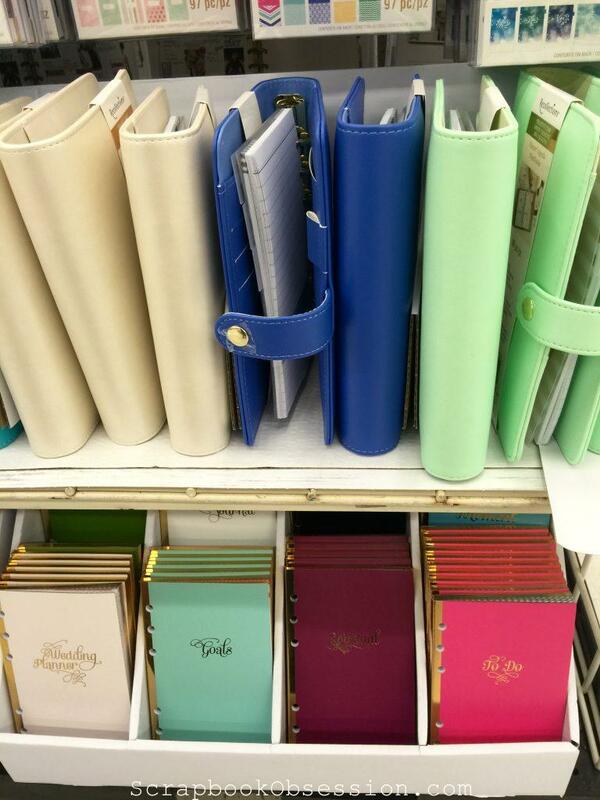 Here are all the items from the Recollections line of planners and supplies. These are way too small for me but I love the varitey of colors and add-ons. 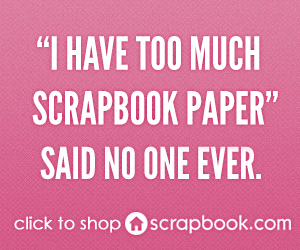 If I had a dime for every time I said this lately, I’d be on a scrapbook cruise and taking you with me! 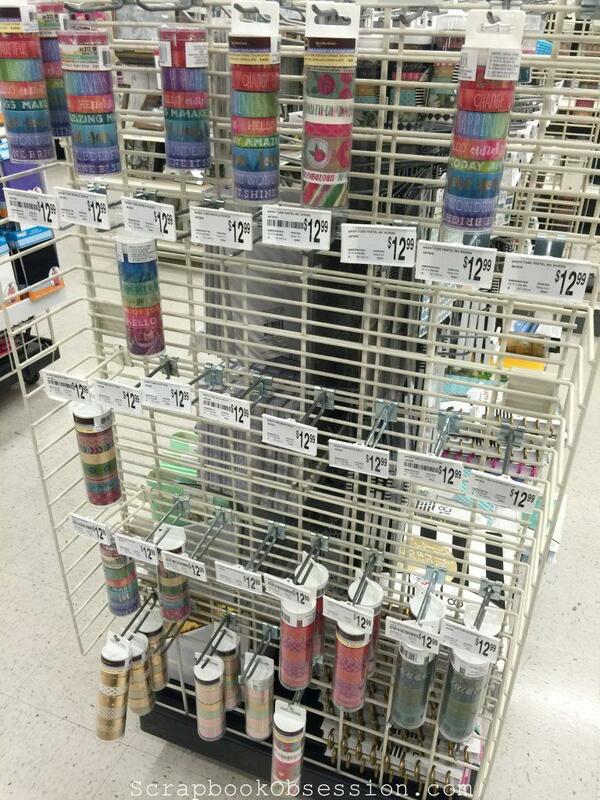 More washi tubes … the shortage is over FER SHURE! But the piece de la …. 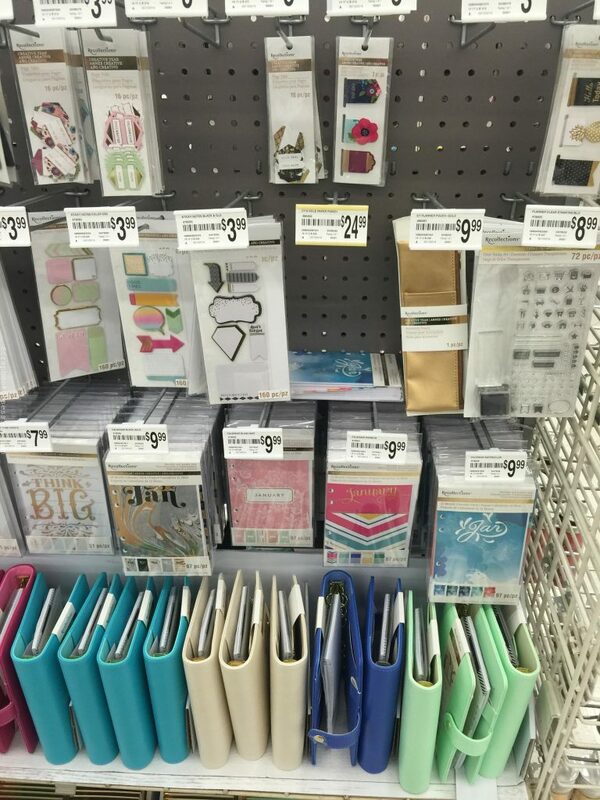 peace della … best flippin’ part were all these Happy Planners and accessories from MAMBI! Yep, I saw all this stuff at CHA and I’m excited it’s finally here to buy. Good timing too because this version is an 18-month planner starting in July – so it’ll carry you through the end of 2017. Yep, I just did math there. Not bad for an English major. 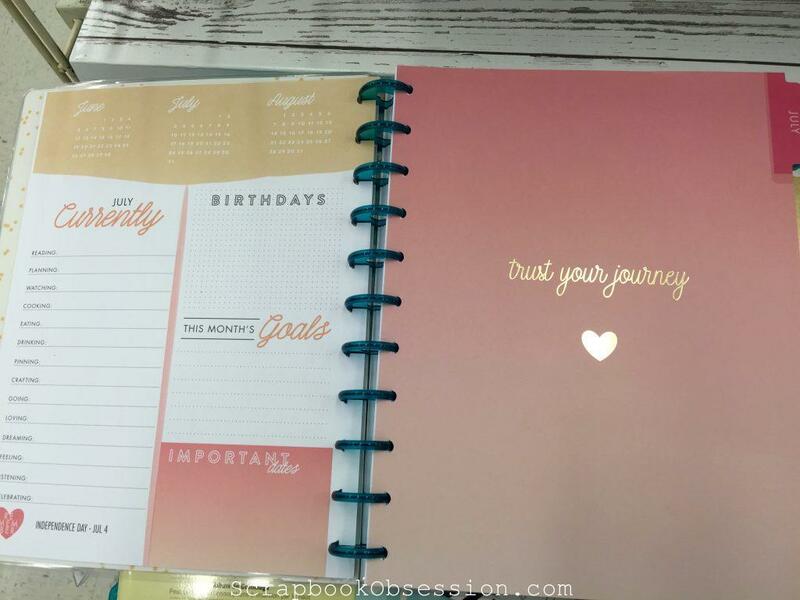 The smaller version of The Happy Planner above is also too small for me and I don’t like the gold discs. However: This is the 8.5 x 11 version. I think I’m in love. Um, “Journey” AND a heart and teal blue (my favorite color) discs? SOLD! I don’t know if I even need this but SOLD! I’ll show you what I walked out of the store with next time. What was that you asked? Did I PAY first? Um, yeah. I know shoplifting is a problem at Michaels and that they won’t even chase or report you if you take their stuff but sure, I paid. Like I’d miss a chance to use sales and coupons? Yeah, right.